I am sometimes a bit slow about reporting things. I hadn't got round to saying that one of my books - They Move Below - was a Red Ribbon winner in the Wishing Shelf Awards (back in March). "There’s a fantastic mix here and plenty to keep you hiding under the covers." "Perfect for any Stephen King fans." "This author is very good at endings. Not everything in life is clear cut. The author shows this in his writing allowing the reader to conclude what he or she wants from the story." 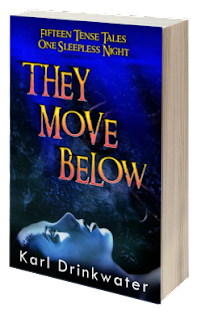 "Scary and packed full of twists. A RED RIBBON WINNER and highly recommended." Discover what the buzz is about for yourself!